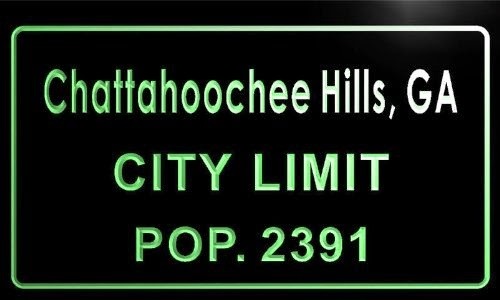 Chattahoochee Hills, the small city of 2,378 people (according to the 2010 Census) located 31 miles away from Atlanta, recently annexed the property that is home to the massive 3-day electronic dance music festival known as Tomorrowworld. Tomorrowworld is breaking new ground. Despite being billed as a Chattahoochee Hills event, the first two editions of Tomorrowworld actually took place just across the city line in unincorporated south Fulton County. Now, in its third year, Tomorrowworld will be held in the City of Chattahoochee Hills for the first time. Municipal officials have lamented that Tomorrowworld wasn't a exactly boon for them in past years due to jurisdictional lines. When asked about the event's economic impact on Chattahoochee Hills, Mayor Tom Reed told Georgia Unfiltered, "It was limited here. "We have so little to catch them . . . The couple of local stores had a good weekend, and the Inn was sold out, but it certainly wasn't a windfall for us." 2015 will change all that. With Tomorrowworld inside the Chattahoochee Hills city limits, locals hope to reap revenues from taxes on alcohol sold at the event; hotel/motel taxes paid by individuals staying at nearby bed 'n breakfast establishments; and fees from permits for the event. A recently updated Chattahoochee Hills special events application suggests that permit fees alone will bring the south metro city a minimum of $20,000. The amount could increase depending on other factors such as police officers hired to secure the event, the number of alcohol serving stations on site, and any possible road closures.